The Diabetic Retinopathy Screening Centre was created as a new healthcare initiative within the Heart of England NHS Foundation Trust in 2005. In April 2018, the Trust merged with University Hospitals Birmingham. The new state of the art grading centre located at Birmingham Heartlands Hospital Diabetes Centre is the central hub for the whole of the scheme, managing over 170,000 patients, making this the largest urban scheme in Europe. All levels of grading are undertaken: primary, quality assurance, arbitration and tertiary/ophthalmology grading. Both the centre and its multidisciplinary staff are internationally recognised for patient care, research into diabetes, diabetic retinopathy and other related eye diseases. The scheme has been led from initial concept by Professor Paul Dodson, Diabetes and Ophthalmology consultant. Dr Margaret Clarke now has taken his place as Clinical Lead. Dr Dodson remains a key member of staff for training and research purposes. 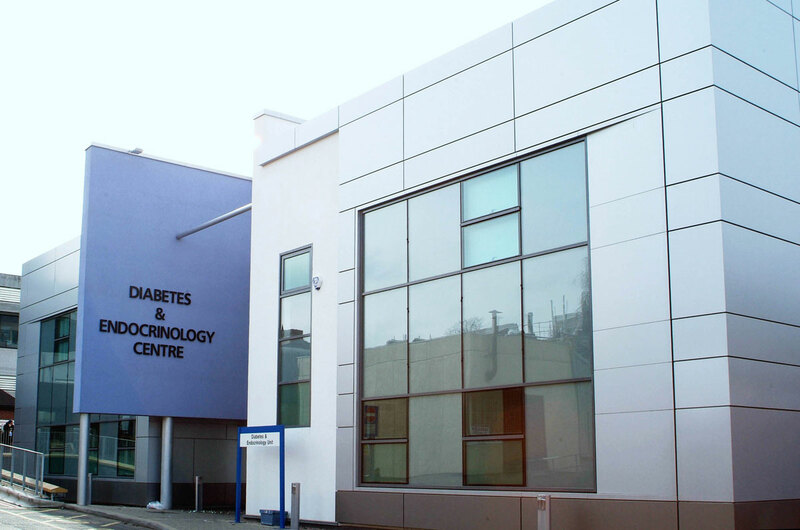 The Diabetes Centre at HEFT is one of the oldest and largest diabetes units in the UK providing a wide range of diabetes services to over 10,000 patients annually. The unit is supported by an accomplished team of clinicians and academics from the Universities of Birmingham and Aston and has produced high quality research in diabetes for over 25 years. This short video can help stop serious eye problems. Please share with anyone you know who has diabetes. Diabetic Eye Disease is a leading cause of blindness. There is an easy way to prevent blindness. Time is an important factor; the sooner you are screened, the sooner we can detect potential problems and protect your vision. Detect. Protect. Keep your vision safe! Follow these YouTube links to view the video in different languages: Arabic, Bengali/Sylheti, Chinese/Mandarin, Gujarati, Hindi, Pashto, Polish, Punjabi, Romanian, Somali & Urdu. The video is also available using sign language.